Today I am combining my Y and Z posts because I missed yesterday. Since I am still in pain, this a short recipe, but has great flavors. Another plus to this is that it cooks very fast. I make this all the time because zucchini is a family favorite. Start off by heating a pan with oil on medium heat. Slice the onion and add it in along with the red pepper flakes. Mince and add the garlic 2-3 minutes later. Let it cook until the onions are just less than translucent. Mix in all of the zucchini. Add in the rest of the seasonings, in the amount of your preference. 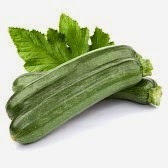 Cook until the zucchini is to your liking. Personally, my family likes it on the soft side, but many people prefer it to be more firm. I often serve this with chicken cutlets or steak. I would just like to give a big thank you to all of the people who have read and commented on my posts. The A to Z Challenge was exactly that. I had to overcome a few obstacles, but I did finish and I am happy that I did not give up. Although it was very challenging I really enjoyed participating and am excited for next year! For my W post here's a quick and easy Faith's A Foodie recipe for a delicious soup: "W"hite Bean and Italian Sausage. This soup is pretty thick and hardy and I love to make it in the Fall, but it's really good to serve any time of the year. Get the stock simmering and in a second pot, heat the oil and brown the sausage in it. When it's browned, add the stock, the beans with their liquid, garlic, onion, carrot, celery and new potatoes. Bring it all to a boil, then lower the heat and simmer it all for about 40 minutes or until veg is soft. When that's all done, puree the soup in a blender but be careful because this is not easy and you could really burn yourself. Pour the pureed soup back into the pot and season with salt and pepper to taste. Of course, I add Parmesan cheese on the top to garnish, but I put Parm cheese on just about everything I eat. It's all about how you like it. Enjoy! Heat a large sauce pan, pour in extra virgin olive oil. Dice the onion and mince the garlic. After the onions turn translucent, add the prosciutto and crushed red pepper flakes. Cook for about 3 minutes. Then pour the vodka in and let it reduce. Mix in the tomatoes along with salt, onion powder, and a small pinch of Italian seasonings. Once it comes to a simmer, stir in the parm cheese and heavy cream. Be sure to stir everything frequently. 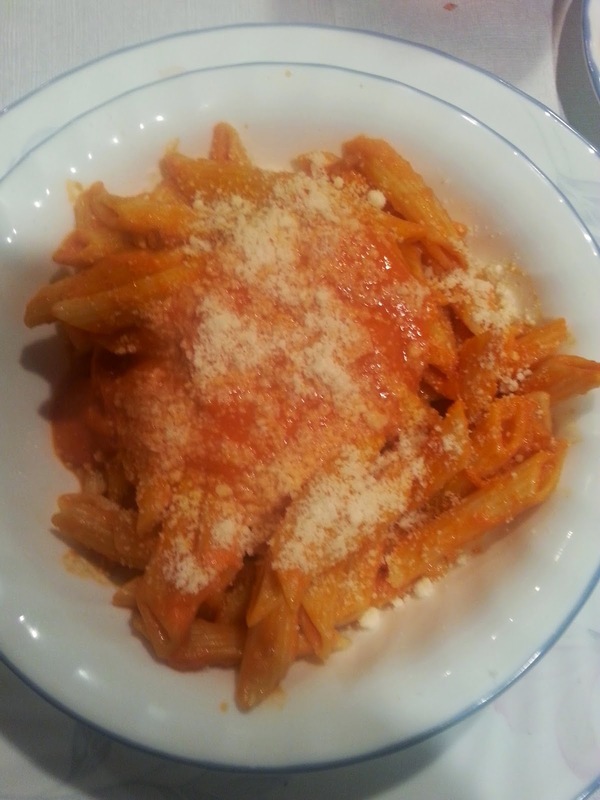 Pour the sauce over boiled penne. It tastes good just like that, or with shrimp/chicken. No matter what, I always shake more parm cheese on and add freshly chopped basil. Enjoy! This soup is so delicious! It is creamy, refreshing, and spicy all at the same time. Since this is not one of my own recipes, I have am giving an ingredient list and how I would prepare this soup. I am sorry this is so vague. I don't even have all of the measurements; it is very hard to tell how much of something goes into a soup just by tasting and eating it. This can be an opportunity for you to really put your spin on the dish! This is everything that I know about the soup. Once again, I am sorry for this semi-recipe. Get creative and improvise. It is easy to fix a soup if you mess it up! A-Z Letter U is for "Uh-oh"
U is for uh-oh. Because I dropped the ball with my T post. I had a super busy day yesterday, but I really thought I would have enough time to go to school, get my homework done, have dinner with my grandparents, attend the science fair and still get my T post done. Complete epic failure. I'm so sorry! I have every intention of posting that recipe for Thai soup and keeping up with the rest of this challenge. I promise to come back later and post it. In the meanwhile, TGIF everyone. Because I am sure glad the weekend is here and I can rest up before another round of busy events and commitments steal me and my time away!!! 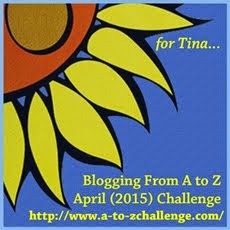 I can't believe we are almost done with the A-Z Challenge. But here we are on the Letter S. S has to be for sushi. 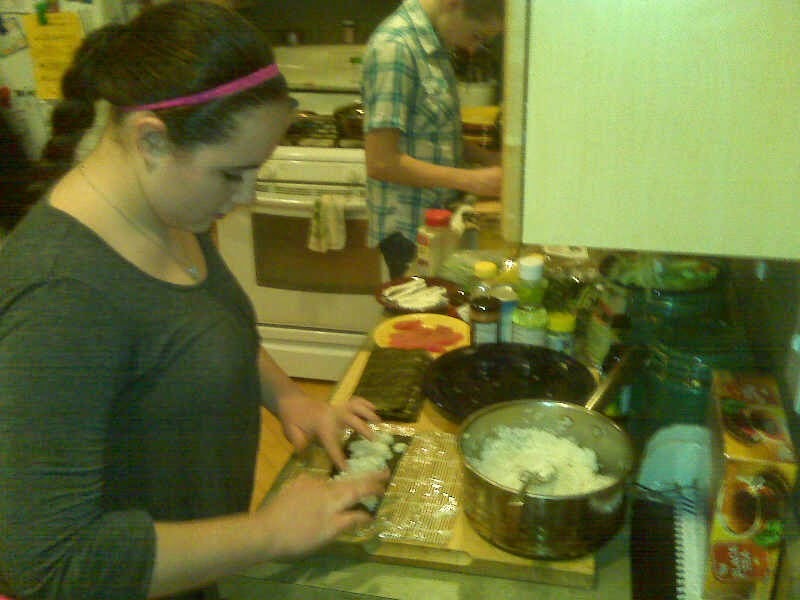 We love to eat to sushi in my family and for the longest time I have been wanting to learn how to make it at home. Recently, I got my wish. 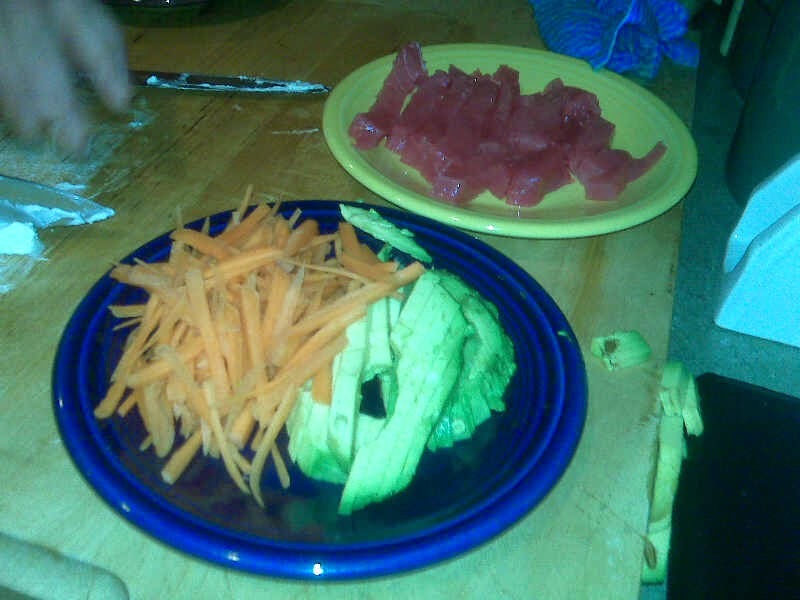 I chopped up to for the different kinds of sushi. YUM!! Trying to get the hang of rolling the sushi tight is not too easy. More ingredients to create the sushi! And then....after all of that, Mr. Dave made us this amazing dinner. 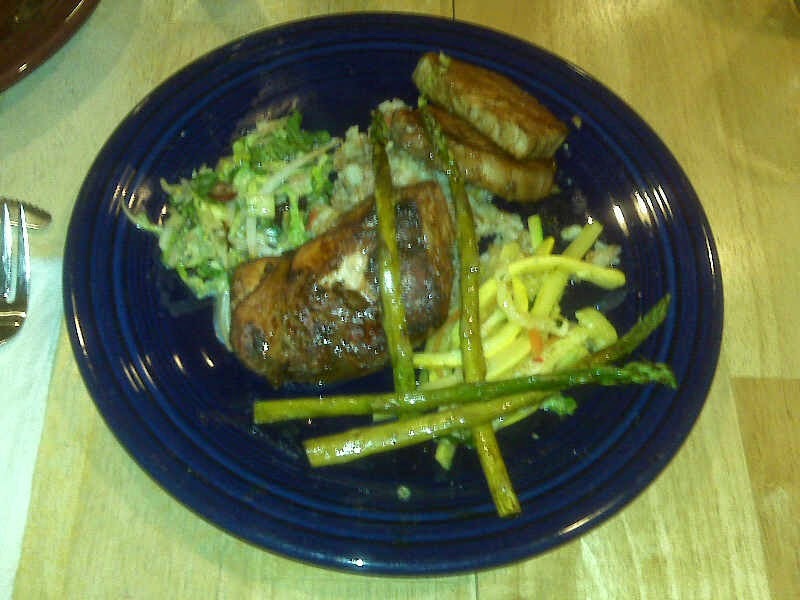 Teriyaki chicken, pork, Asian slaw and a bunch of yummy veggies!! A friend of our family, Mr. Dave, is a chef and he was gracious enough to invite us over for dinner and a cooking lesson. We stayed there from 4:00 in the afternoon until 11:00 at night and we all had to get up for church in the morning. Once my mom and her friends get talking, there is no stopping them! It was a ton of fun though and the best part was that I got to learn how to make pork wontons, four different types of sushi, and this amazing Thai chicken soup (which I will be featuring for letter T tomorrow). I think my favorite type of sushi is the California roll. The hardest technique to master was how to roll the sushi real tight. After a little while, I got the hang of it, but I definitely need a lot more practice. I really have to thank Mr. Dave and his family (they have four kids and then there were the five of us) for taking the time to teach me how to make sushi. I was like a sponge, and soaked up all the cooking instruction that I could get so I really, truly appreciate that he did all that, just for me. Are you a fan of sushi? Do you make yours at home or get take out? See you all back here tomorrow for letter T! Hello! My name is Faith and I'm a foodie. 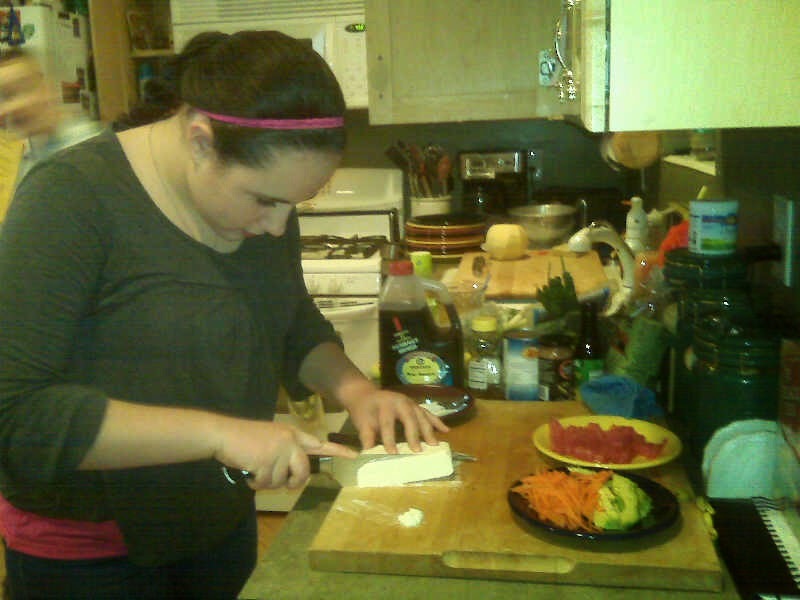 Even though I'm only 13 years old, I love to cook and try all kinds of new foods. I love to eat in, eat out and I love to write about it. Follow me and you'll see. Remember, if it's not Yum, don't eat some! Q is for "Qu'est-ce que c'est, Francais?